Roughly 13 years ago, in Charlotte, NC, Brian Welch came up with the idea to provide gameroom equipment and service to the home market. 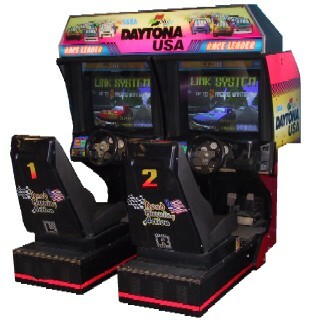 A short time later, Arcade Amusements (dba: Gamerooms Unlimited) opened it's doors for the first time and began providing the Carolinas with high quality gameroom products, along with it's unbeatable service. Years later, after a few business upgrades, our name finally changed to Retro Gamerooms. Since 1996, we have sold thousands of new and reconditioned games. We also BUY gameroom accessories in ANY condition! Whether you are looking for jukeboxes, arcade video games, slot machines, neon signs, pinball machines, or other unique coin operated items for your home gameroom, Retro Gamerooms has what you are looking for! We have over 200 games in stock! Replay the memories, with these unique gameroom classics that Retro Gamerooms has to offer! Call us today at 704-904-1512, or via email at: gamerooms@carolina.rr.com, for pricing and availability information.